We’ve all heard at one time or another that breakfast is the most important meal of the day. I’m sure my mom said that to me a few times. The problem is that in today’s busy world, most of us run out the door with a breakfast bar and that’s about it. Everybody’s just too busy to sit down and have a healthy breakfast. However, in a landmark study conducted by Cardiff University involving 5,000 9 to 11-year-olds from more than 100 primary schools in South Wales, UK, the research team discovered that the odds of an above-average Teacher Assessment score were up to twice as high for pupils who ate breakfast compared with those who did not. They also found that children who ate a better-quality breakfast achieved higher academic outcomes. Social scientists say the research, published in the Public Health Nutrition journal, offers the most substantial evidence yet of a meaningful link between dietary behaviors and concrete measures of academic attainment. There are two ways for children to get healthy breakfast: either at school if this option is available, or at home. If your child’s school offers this program, check to see if they’re providing a nutritious meal. If your child is eating breakfast at home, here are some tips on how to see that not only your children but the whole family can have a healthy meal and still get to school and work on time. Discourage late night snacking as this can reduce your child’s appetite for a good breakfast in the morning. Try getting everything ready the night before. This means having the table set and the food ready to prepare or to eat. 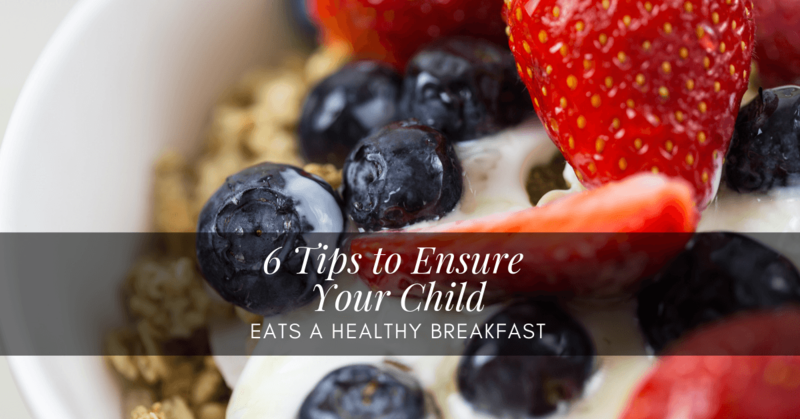 If your family hasn’t been eating breakfast, you might want to start with a smaller version and gradually “kick it up a notch” as you move forward. Set your alarm an extra 10 to 15 minutes earlier, so you have plenty of time to prepare and eat breakfast. See that everyone is dressed and ready for school before you sit down for breakfast. If you allow enough time, you can have a brief family huddle before you walk out the door, so everyone is ready to begin their day on a positive note. Finally, be a good role model. Children often reflect their parents’ behavior. The USDA has some excellent information on food and nutrition for children and teens. Both the Food Network and the Cooking Channel have some great ideas for preparing healthy breakfasts for the whole family. Check out the Super Healthy Kids website for meal planning ideas and recipes for the entire family. Listed below are some free or low-cost eBooks available at Amazon.com.